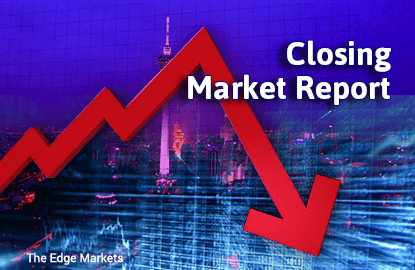 KUALA LUMPUR (Aug 2): The FBM KLCI fell five points or 0.3% on profit taking amid Asian share market losses. At 5pm, the KLCI settled at 1,660.23 points after reaching its intraday low at 1,657.78 points. Yesterday (Aug 1), the KLCI rose 11.97 points to close at 1,665.23 points. Today, Etiqa Insurance and Takaful research head Chris Eng told theedgemarkets.com that the KLCI's performance was in line with regional weakness. "Today's weakness was mainly due to profit taking (activities) globally after the strong run-up in July," he said. Japan's Nikkei 225 declined 1.47% while South Korea's Kospi retreated 0.52%. Reuters reported that Asian shares slipped on Tuesday, taking their cues from a modestly lower day on Wall Street, while crude oil prices stabilised after their overnight tumble and the US dollar edged higher. Trading in Hong Kong was suspended for the day as Typhoon Nida swept through the city, shutting down most of the financial hub. In Malaysia, Bursa Malaysia recorded total volume of 1.92 billion shares worth RM1.84 billion. There were 277 gainers versus 491 decliners. The biggest decliner was Panasonic Manufacturing Malaysia Bhd while leading gainers included British American Tobacco (Malaysia) Bhd and George Kent (Malaysia) Bhd. Malaysia Building Society Bhd was the most-actively traded counter with 99.5 million shares changing hands.